Sometimes it’s fun to have a peek behind the curtains, so to speak, and learn a little bit more about the people behind a business. That’s why our marketing team has “interviewed” Lori Chandler, owner of Indy Kids Sale. Lori is a mom of two school-aged children, and has always sought ways to save on things her kids need. Being a little “crunchy” too, she values the impact that consigning has on the environment, offering less waste when something can be passed along to someone else who can use it. This is also evident in Indy Kids Sale’s partnership with several local organizations including Good Samaritan Network. 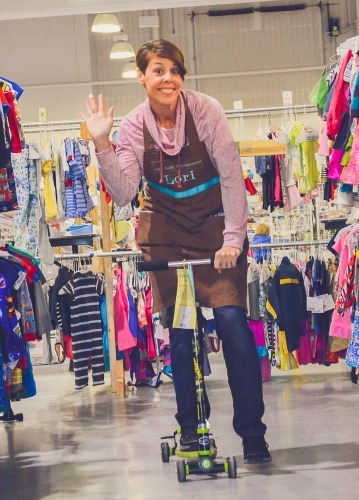 Read through our Q&A with Lori, and take a peek into what it’s like to run such a huge and successful Indy Kids Sale! How did you first hear about Indy Kids Sale? My first experience with Indy Kids Sale was as a consignor. I saw an ad for a sale that had children’s items from about 20 families being held in the front yard of someone’s home. I came to shop, and was hooked! What made you decide to become involved? 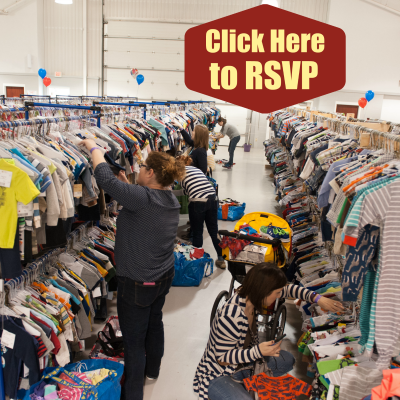 My daughter was about six months old when I first shopped at Indy Kids Sale. After seeing what a huge savings it was to shop at a consignment sale, I couldn’t go back to regular retail shopping. No way!  What made you take the leap into taking over the sale as owner? I was involved with Indy Kids Sale as a shopper and consignor for about four years when the possibility of taking over the sale was presented. For me, it was a no brainer. I’m an organizer and a deal seeker at heart. It’s the best of both worlds! 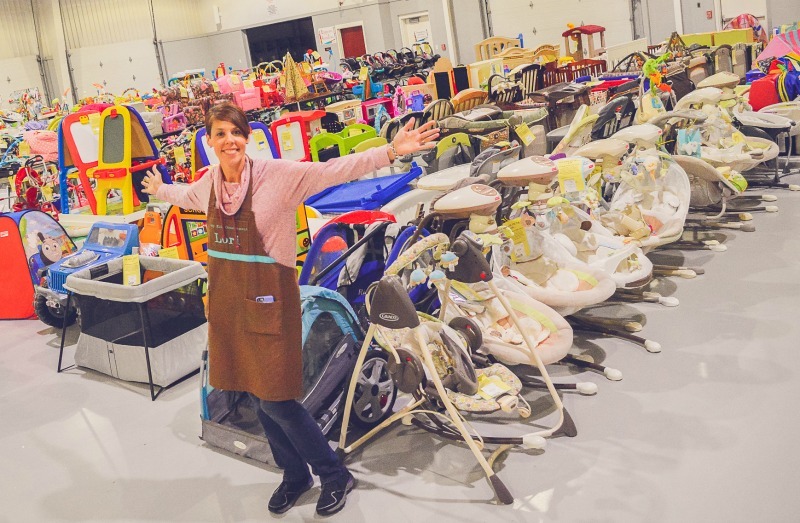 I think one of the biggest challenges has been overcoming the idea that a consignment sale is a “big garage sale.” I take a lot of pride in the fact that I hear over and over again that Indy Kids Sale is the cleanest and most organized kids consignment sale around. We work so hard to inspect the items our consignors bring to us to make sure we are selling quality items to our shoppers. You won’t go to any garage sale and find everything you need for your children in one place, clean and in working order, neatly organized and with friendly staff willing to help you. What has been your biggest source of pride? Each sale our consignors donate their unsold items to the Good Samaritan Network of Hamilton County. We have donated hundreds of thousands of dollars’ worth of items to this amazing charity that turns around and gives it to families in need here locally. I’m grateful to be connected to such a great organization! Sale week is like a family reunion every six months! I really have become friends with the consignors, and look forward to spending time with them the week of the sale. How do you prepare mentally for sale week? What’s one thing shoppers may not know about the sale? I think most people would be surprised to know that this is a year round job for me. It takes months to plan and pull off an event like this. There are weeks that are slower than others, but the work is year round. How would your staff describe you during sale week? What is your hope for Indy Kids Sale? My hope for Indy Kids Sale is that it will continue to benefit families here in Hamilton County. Whether it be consignors, shoppers or the charities we work with, I hope that we can serve this community for many years to come.